Troy and his wife Sarah have three children (Taylor, Seth and Tyler). Troy’s passion is discipleship and Christian education while Sarah enjoys helping wherever needed. 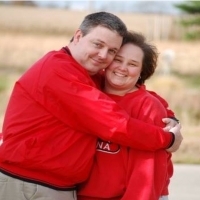 Troy and Sarah are both graduates of Crossroads Bible College in Indianapolis, IN. Troy also earned a Master of Divinity Degree from Luther Rice Seminary and a post-graduate degree from Liberty University.